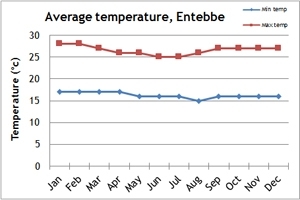 Our climate charts will give you an idea of the average rainfall and temperatures in Uganda. The best time to visit Uganda is between June and August and also December through to mid-March. These are the driest months and therefore best time for gorilla trekking and tracking chimps in the forests. During the dry months, water sources become more scarce and therefore wildlife concentrates around the remaining water holes making it easier to find and observe game in the national parks. 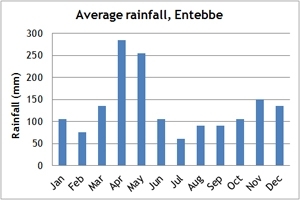 The wettest months in Uganda are late March to May and it is best to avoid travelling to the country during this time. If you can't make the dates of our group departures, then take a private departure on dates to suit you, or we can create a Tailor Made holiday to Uganda, especially for you and your family or friends.